For the last fifteen years, a small group of rail enthusiasts have been volunteering their time and talents to the restoration of Ottawa Streetcar 696. As the last remaining 600-series streetcar to have serviced the Ottawa rails between 1915 and 1959, one can well imagine the condition of the streetcar when the project began. Decades spent outdoors in the harsh Canadian climate guaranteed the team plenty of rusted metal parts and rotted wood. While the volunteers did their best to salvage original parts, the team has ended up rebuilding the majority of components from scratch. So, how did Logs End get involved? 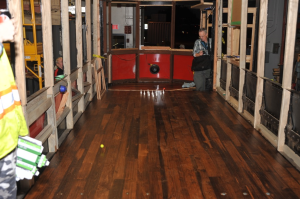 Like to many other corporate sponsors, Logs End made a donation in the form of materials – in our case, unfinished river-reclaimed hardwood flooring. 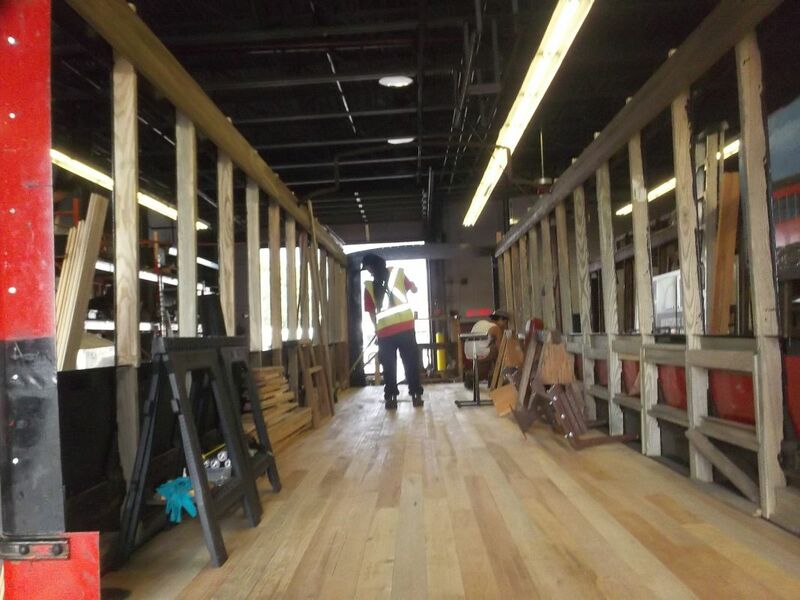 The volunteers at Streetcar 696 undertook the installation, staining and top coats. We think the end product looks incredible, and we look forward to seeing Streetcar 696 fully restored and operational for its 100th anniversary in 2017.